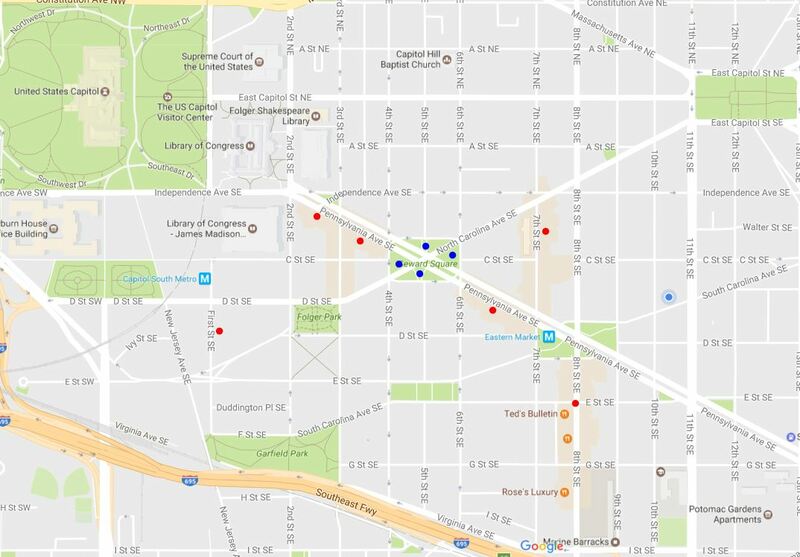 Six Capitol Hill Rat Haven Hot Spot blocks are marked with red dots. Blue dots mark the sites of green space infestations. Click to enlarge. ANC6B is waging war on rats in response to expressions of alarm and concern by Capitol Hill residents who live near “restaurant clusters” which provide support for the city’s rodent population. Barracks Row; Eastern Market and the 200 block of 7th Street, SE; the 100 block of D Street, SE; the 200 block of Pennsylvania Avenue; the 300 block of Pennsylvania Avenue and the 600 block of Pennsylvania Avenue. Public green spaces flanking Pennsylvania Avenue between 4th and 6th Streets were also pointed out as sites of infestations. CHC interviewed a number of attendees as to their impression of the meeting and what their take-away had been. The overwhelming sense of residents is that rats – which have been under control for a while – are back in a horrendous way. People were incensed and related personal experiences. The rat problem is directly related to a neighborhood’s number of food service establishments with poor trash management policies. The city has encouraged development of dining destinations, and has lax enforcement of trash and rodent management either deliberately to reduce the hassle factor of operating a restaurant or because they have turned a blind eye to the consequences of the problems associated with development. Consequently, the residents have been left to fend for themselves. 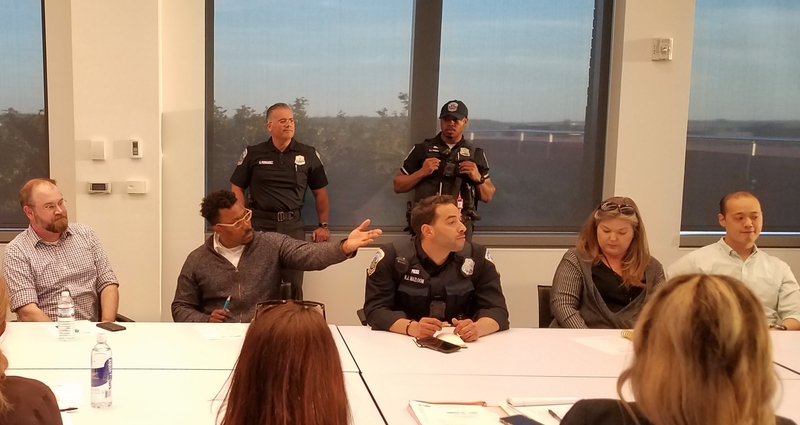 ANC6B, chaired by Chander Jayaraman, has pioneered the use of liquor license applications and renewals to require restaurants to use best operating practices regarding trash management. 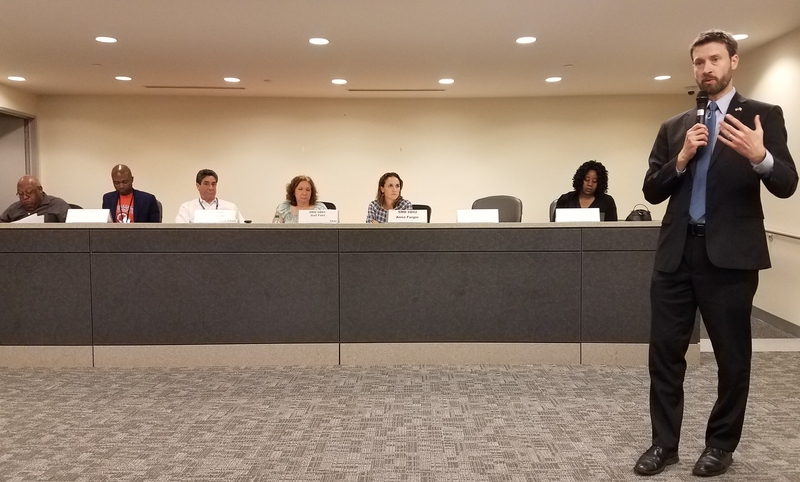 Recently, the ANC won a precedent-setting finding by DC’s Alcohol Beverage Board that trash management can be considered by the ANC in making recommendations on liquor licenses. Some restaurants, notably, &Pizza, Eat Bar, and Acqua al 2 have earned praise from the ANC and/or residents for adopting exemplary trash management practices. Others, such as Capitol Hill Tandoor, are in the process of adopting these practices. 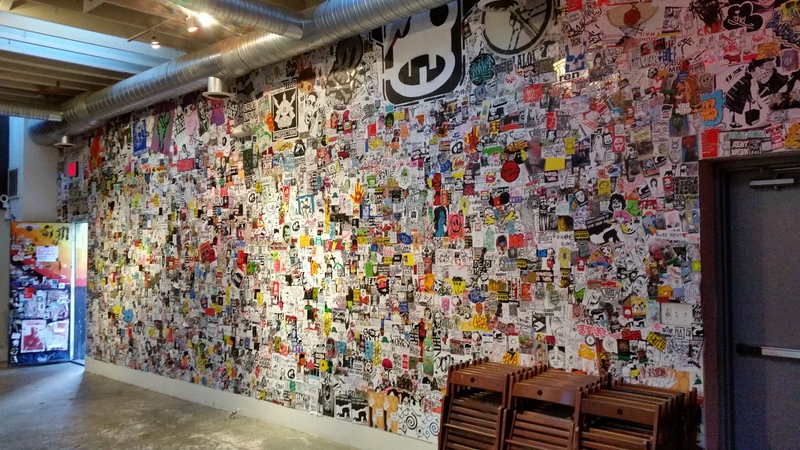 Some, such as the three Spike Mendelsohn restaurants on the 300 block of Pennsylvania Avenue, have resisted addressing trash and rodent issues. The Mayor and the City Council have not made rodent control a priority and do not provide the funds or the resources to effectively manage rodents. The Department of Health has four inspectors for the entire city and 9 abatement employees. Rats are rampant at construction sites. Developers say city regulations prohibit use of “tracking powder” – a rodenticide “shot” into rat burrows on construction sites – because of hazards to workers. Baited traps which are permitted are ineffective means of control. Rats are rampant on green space public lands on Pennsylvania Avenue, but confusion among residents and agencies regarding who has jurisdiction to do what often results in nothing being done. A letter to DOH and city officials advocating a citizens’ enforcement pilot program and activating of the DOH Rodent Control Task Force for hot spots. (See Part I of CHC’s three part series on rats here: http://bit.ly/2njUUit) In addition, DOH will consider additional installation of rat proof trash containers similar to those recently installed on the 600 block of Pennsylvania Avenue. Residents are organizing to appear at the city council budget hearings to ask the council to put more resources into rat abatement. 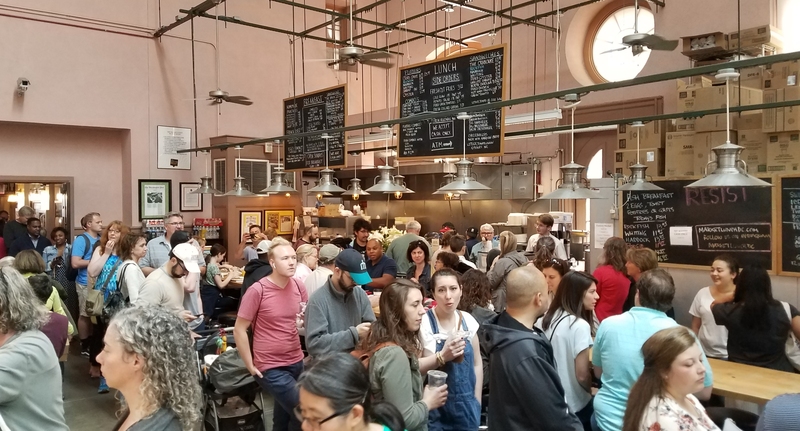 Residents are organizing to reach out to and collaborate with other ANCs and to press the city council for regulations requiring indoor trash storage for businesses serving food. As reported by CHC, CM Charles Allen has already pledged to “take a crack” at organizing a coalition of government agencies and civic and business organizations to take on the rodent problem. Thank you for waging this war! 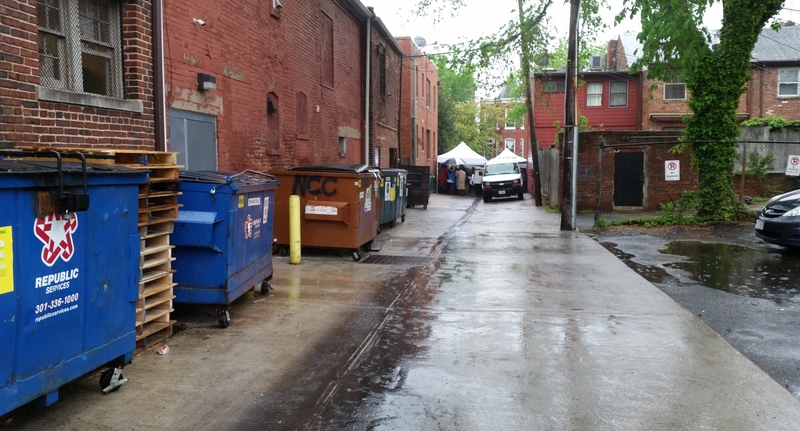 I’m ready to assist battle in alley btw 12th & 13th on H northside alley shared with Wylie Street. Poor drainage, so birds, rats & more feed off sludge that includes restaurant fats, oils and rice. Kudos to those on Capital Hill tackling this seemingly intractable problem. Also a major issue in the Logan Circle 14th St corridor and residential neighborhood. In addition, seeing more rats downtown Penn. Ave. This should be a citywide outreach and effort that is given priority. Disgusting for residents and guests in the Nations Capital to have to combat rats while visiting our otherwise beautiful city! Excellent reportage, Larry. I attended the ANC6b meeting. Some of the examples of rampant rodents made my toes curl!! 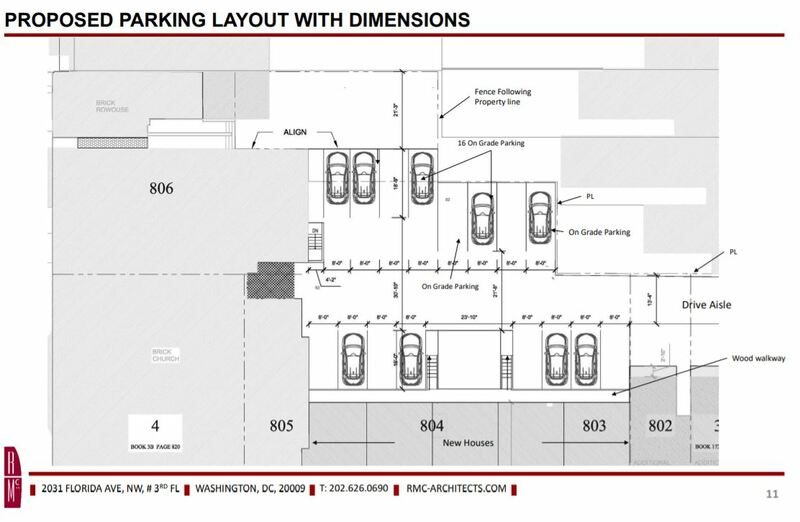 We have to find a way to partner with our restaurants, the clientele who eat in these restaurant clusters (Barracks Row, Eastern Market/200 block of 7th Street, Pennsylvania Avenue) and residents whose homes are adjacent. We also have to launch a major public communication effort to better prevent walkers from dropping crumbs along the sidewalks which attract rats. And we need to hold our city government accountable for not enforcing rodent control regulations.